There is plenty of nightlife in the urban areas of Bangladesh. It is, however, important for a foreigner to consult a resident as to the level of safety of each situation. It is often the case that new nightclubs can be quickly chosen as informal headquarters for various criminal factions. Even when going to a reputable club, travelers should always go in a group, never alone. Slightly more dependable alternatives to clubs are parties that are frequently held by hotels. Also, there are often private parties informally advertised between friends and acquaintances by word of mouth. One can expect to see drinking at parties and clubs. 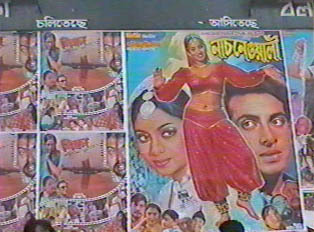 The films shown at movie theaters in Bangladesh are predominantly Hindi or Bengali with the exception of occasional five year-old Hollywood movies. People generally prefer to rent videos and DVDs and watch them at home with friends. Ice cream and gelato shops are extremely popular; it is what many do after dinner instead of going to get coffee. These shops are open until midnight and very popular meeting spots. People visit one another at home, and private parties are frequent. Eating out and playing pool at pool clubs is a favorite pastime. There are numerous athletic clubs as well where patrons can buy daily or monthly passes. These clubs offer the use of a pool, workout equipment, tennis courts, and usually a café. Some cybercafes function as both sites of computer access and as social gathering places where coffee and sandwiches are served. Cricket and soccer are the most beloved national sports. During national or international tournaments, the country turns its attention to the games. When out and about in Bangladesh, one should practice modesty in personal dress. It is not only disrespectful but unsafe to wear revealing clothes on the street. More and more tourists choose to wear modernized versions of traditional Bengali clothing, which are light cotton pants with a loose, knee-length overgarment and a scarf around the neck.